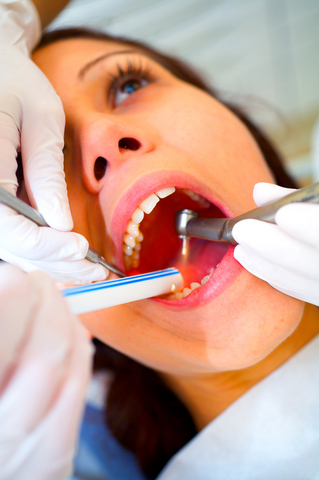 A new Revenue move could mean bigger tax bills for dentists and their workers. Following their previous focus on the tax status of locum doctors, Revenue have now turned their attention to the Dental sector. In recent weeks, they have written to the Irish Dental Association stating that Dental Associates and Dental Hygienists, “who in Revenue’s view are employees”, must have PAYE/PRSI operated on their earnings with effect from 1 January 2012. The net effect of this move will be to prohibit many dental associates and hygienists from working as self-employed contractors for dental practices. They must instead be treated as employees, and have PAYE/PRSI deducted on their earnings. This is in line with the Code of Practice for Determining Employment or Self-employment Status of Individuals, agreed by the Employment Status Group, under the Social Partnership process in 2007. The biggest impact of this change will be the imposition of 10.75% employer PRSI on the earnings of affected workers. This will represent a major additional cost for dental practices. Given the current state of the economy it will be difficult if not impossible for practices to pass on these cost increases to paying customers. While the Irish Dental Association have asked Revenue to defer the implementation of the changes to 1 January 2013, it is clear that the new rules will take effect sooner or later. Of course Revenue will be anxious to implement the changes as soon as possible in order to maximise their own Income Tax, USC & PRSI take from the dental sector, so it is difficult to see them agreeing to the dentists’ pleas. The key message for dental practitioners, associates and hygienists is that they will need to take immediate action to review their current status, and ensure that they stay Revenue-compliant. Practices will also need to review their contracts with dental associates and hygienists as many of these workers may now be entitled to additional employee rights which did not arise while they worked as contractors, eg rights to annual leave, unpaid breaks, minimum notice, redundancy etc. Whether or not individual practices and their dental associates and hygienists are affected by the new rules will depend on the existing contractual working arrangements in place in each case. Revenue have pledged “to consider each case on its own merits”. In cases of doubt, they are urging dentists and hygienists to make a submission to their local Revenue District, outlining the terms and conditions of the particular engagement(s) and asking for Revenue’s opinion on their correct status. I recommend that affected dental practices, associates and hygienists should seek expert professional advice on their status and working arrangements before making any such submission to Revenue. It may well transpire in individual cases that existing ‘independent contractor’ arrangements already conform with the self-employment criteria set out in the Code of Practice, and (more importantly) existing case law precedents. In such cases there may be no need to treat the workers in question as employees. However given the stakes involved, and the risks attaching to non-compliance with any Revenue matter, it would be foolish to ignore this issue in the coming weeks and months. Revenue have considered the circumstances surrounding the engagement of dental associates and dental hygienists in dental practices, having regard to the criteria set out in The Code of Practice for Determining Employment or Self Employment Status of Individuals and relevant case law. It is the Revenue view that generally speaking associates and hygienists engaged by dental practices are engaged under a contract of service (i.e. they are employees) and their remuneration comes within the scope of PAYE and that PAYE should be operated on all payments from 1st January 2012.
in return makes you money. pool hack 2014 will likely be close to for a long period and possess a large impact on the particular lives of numerous folks. responses from other experienced people that share the same interest. by using products that will not only preserve its color but also enhances it. It uses radiofrequency energy to get rid of the signs of aging. moving services for any need that you might have. Once you reach your new place, a moving service provider in Austin will even unpack your things, so all you need to do is sit down and relax. Is it because of the lonesomeness that you’re presently going through. While Naphtha is not commonly discussed, it is a great alternative to butane and propane. media, and real estate, sis one of the world’s financial capitals. or give it away to your local dealers who buy scrap metal. solutions offer their clients and customers with authentic warranties. be. The other mesmerizing peculiarity is that the relationships amongst fdi inbound outbound. I’m curous to ind out what blog platform you have been working with? The inner side or the portion that faces the pool table is covered with the foam. Continue to use potato mines as you start to plan sunflowers in the water lane. Quality articles is the important to attract the people to visit the web site, that’s what this website is providing.